Have your own crocheted Cap sitting safe and sound on your dresser or hanging on your back pack! This little Captain America from Marvel’s The Avengers miniature amigurumi measures about 2 inches tall when finished and includes 5 unique video tutorials to help you get through the tough parts! This entry was posted in Amigurumi, Blog, Captain America, Crochet, For Sale, How to, How to Crochet, Marvel, Pattern, Patterns and tagged captain america, comic books, comics, for sale, marvel, paid, pattern, patterns on February 2, 2017 by louibob118. Oops! You missed it! But it’s archived right here still if you’d like to watch! 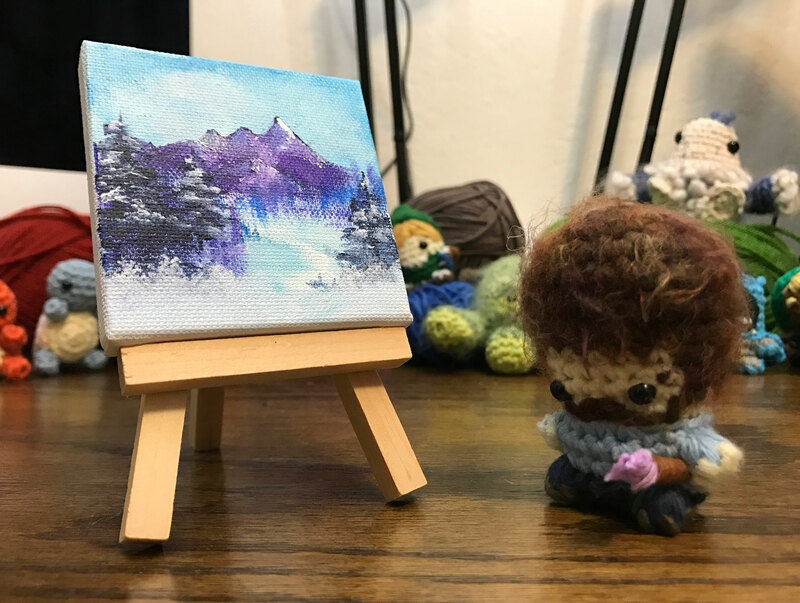 Welcome to Themed Thursdays, where I crochet something based on a theme! Today’s theme is Marvel and I’ll be making a mini Captain America! This entry was posted in Amigurumi, Blog, Captain America, Crochet, How to, How to Crochet, Live, Marvel, Pattern, Patterns, video, Youtube and tagged captain america, comic books, comics, free, marvel, pattern, patterns on February 2, 2017 by louibob118. Have your own crocheted Mario sitting safe and sound on your dresser or hanging on your back pack! 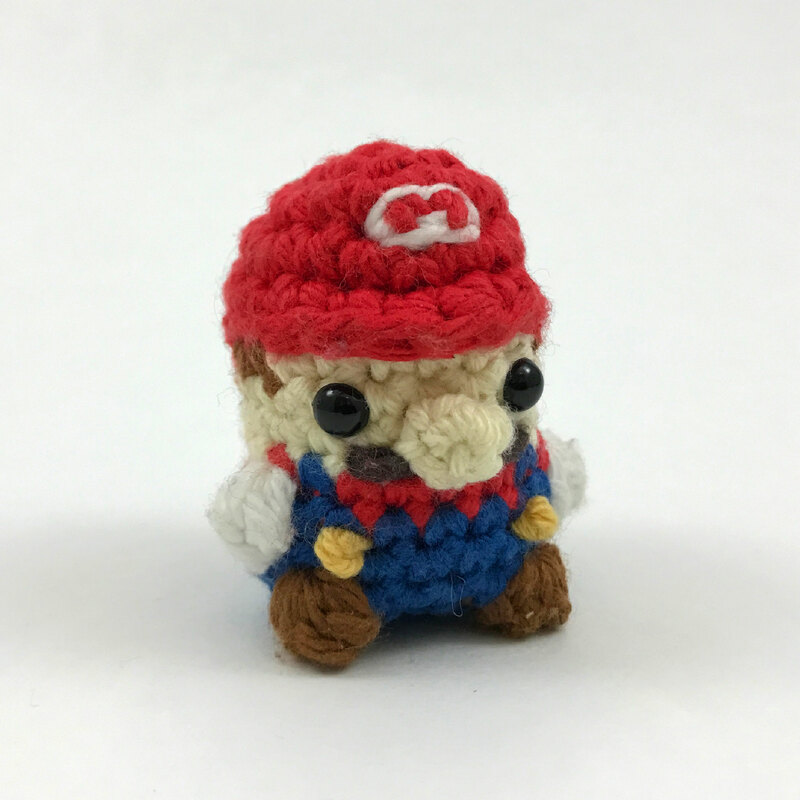 This little Mario from Super Mario Bros miniature amigurumi measures about 2 inches tall when finished and includes 5 unique video tutorials to help you get through the tough parts! This entry was posted in Amigurumi, Blog, Crochet, For Sale, How to, How to Crochet, Luigi, Mario, Nintendo, Pattern, Patterns, Uncategorized, Video Game and tagged gamining, mario, nintendo, pattern, patterns, super mario, video games on January 29, 2017 by louibob118. Trying something new by making a mini Mario while we play Super Mario 64! This entry was posted in Amigurumi, Blog, Crochet, Game, How to, How to Crochet, Live, Luigi, Mario, Pattern, Patterns, video, Youtube and tagged let's play, live, mario on January 27, 2017 by louibob118. Have your own crocheted Link sitting safe and sound on your dresser or hanging on your back pack! This little Link from The Legend of Zelda miniature amigurumi measures about 2 inches tall when finished and includes 5 unique video tutorials to help you get through the tough parts! This entry was posted in Amigurumi, Blog, Crochet, For Sale, How to, How to Crochet, Live, Pattern, Patterns, video, Youtube and tagged live, louiesloops, louiesloopslive, pattern, patterns on January 19, 2017 by louibob118.